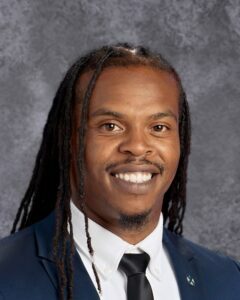 Damien McDuffie served as Community Engagement and Capacity Builder for the City of Oakland as part of the City-County Neighborhood Initiative (CCNI), which works to prevent violence in Oakland’s most traumatized and low-income communities. Raised in West Oakland Acorn Projects, Mr. McDuffie earned a Political Science/ Black Studies degree from Loyola Marymount University, Los Angeles, and a Master of Fine Arts Degree as a Graduate Writing Fellow at Columbia University, New York. He brings more than a decade of experience in community organizing, educational program management, and engagement as an organizer, instructor, literary writer, and journalist. Mr. McDuffie is driven by his passion to bring access, mentorship, and exposure to low-income youth of color.